Dipstick Vapes is not shy about its intentions. The hardware company—backed by Green Lion Partners, a firm aimed at business development in the burgeoning cannabis industry—is an unabashed proponent of THC consumption. With one product on the market (The Dipper) and another unnamed set for release later this year, Dipstick Vapes wants to normalize cannabis concentrates by engineering user-friendly tools to consume them. 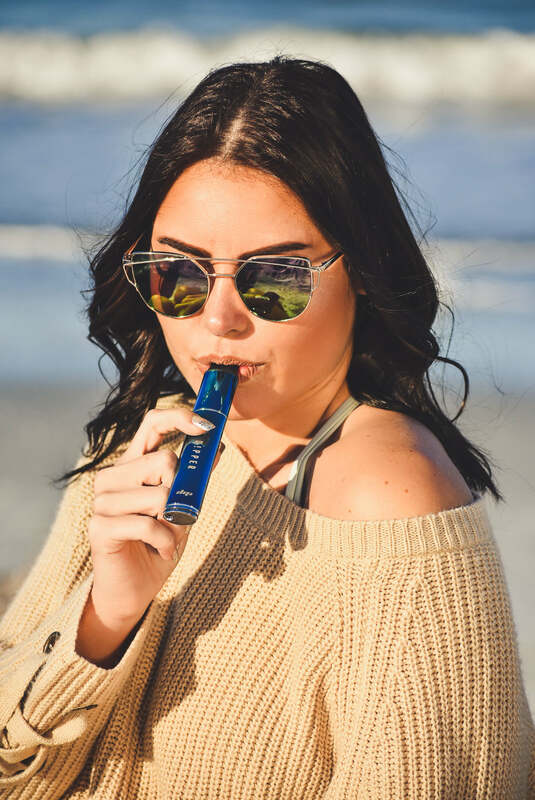 Quiddity talked to CEO Mike Bologna about socially conscious business, innovating in a crowded market space, and what makes Dipstick Vapes different. Let’s begin with your brand heritage. You launched in early 2017 with The Dipper. What led to this product? There was a product on the market called “The Dipstick” out of Houston in 2014, and myself and a few other partners came in and purchased the intellectual property from that company. So when we rebranded it wasn’t just a shift in the actual marketing materials—it was a completely new management team, new legal structure. Every aspect of the company was refreshed. What attracted you to The Dipstick as a product and the vaporizer category in general? My top-level business in the cannabis industry, Green Lion Partners, has been involved in the industry for about 3 and a half years. We’ve invested in about 10 companies, and we run 4 companies on a day-to-day basis as the managing team. The real value that Green Lion brings to the space is bringing high-level business practices and transparency to elevate the cannabis industry in everything that we do by educating the public and clearing some of the stigma surrounding cannabis and its users. Quite honestly, we spent the beginning of our time actively avoiding hardware. It’s a crowded space, there’s a lot of knockoffs, sub-par products, and sub-par companies. But when we saw the original Dipstick’s technology, which allowed users to consume cannabis concentrates without a blowtorch, that was such a massive opportunity to really normalize the consumption of a product that we really believe in. We knew that cannabis concentrates needed to be more accessible to the average user and with this Dipstick we saw the opportunity to normalize the imagery and make it far more accessible to people who have tremor diseases, are elderly, or are generally intimidated by the bulky setup of the glass rigs, the blow torches, et cetera. How is The Dipper different from The Dipstick? We made significant improvements between the 2 devices. The first had removable, rechargeable batteries that were inconsistent and not very convenient; the atomizers—the echo-heating elements—had a ton of moving pieces so that they were easily clogged with the vapor and concentrate residue. We tried to completely thin it down, get rid of as many moving parts as possible, and make it a much more reliable device that is easy to clean. We also added dual functionality with the additional quartz crystal atomizer that allows people to pack up the concentrates into the pen and take the device on the go. How do you conceive of your target demographic? We try and be as versatile as possible, allowing a direct dab and the pack-and-go, more portable version; as well, we have an attachment that allows you to connect it to a glass rig. We do believe that we have a powerful enough experience for the niche heavy user, but we are also targeting new markets, such as the elderly and quite frankly females, who as a general demographic are more intimidated by the torch than males. We want to make a brand that targets anybody who considers themself an active, socially conscious consumer of cannabis. A lot of vaporizer companies use very hyper-sexualized advertising or heavy stoner-centric appeals—huge clouds, get as high as you can, cough your brains out. That’s not our approach. We’re trying to build a brand that whoever it may be, whether it’s my grandmother or my cousin who’s studying at school, they can integrate it into their life. Do you explicitly market The Dipper as a device for cannabis consumption? We are pretty transparent in our advertising, our conversations, and with our legal partners; we don’t shy away from it. The overall mission of Green Lion is to push this industry forward, by being able to show that we’re a cannabis company that has all the requisite legal documents and the willingness to follow regulatory compliance. We feel it’s our prerogative to show that we’re a cannabis company. The Dipper definitely can be used with CBD and any other holistic herbal concentrates, but we do not shy away from cannabis. Can you elaborate on the design features that set The Dipper apart from other vaporizers on the market? From a design perspective, the most innovative part is our vapor tip atomizer, the one that has the exposed heating element that allows you to dab directly under the device. Our temperature controls deliver the most true concentrate experience in a portable dab device. From a quality perspective and an ease of use standpoint, just being able to touch the tip lightly and take a small sip has really elevated the ability to dab on the go. We also really like the social aspect that it allows—a lot of rigs you need to heat up and clean and cool down and there’s this long process between each hit. The Dipper lets you pass the vapor tip atomizer in a circle, the same way you would with a joint or a bowl, which is a huge part of the communal aspect of cannabis. We’re really excited to be bringing that to concentrate consumption. With the additional functionality of the quartz crystal atomizer, we’re very focused on the airflow through the device. It can act as a pre-loaded pack-and-go pen, much like traditional pen models out there, but because of the way we designed the airflow, it is more efficient with the concentrate and truer to the actual taste and flavor of extracts. The Dipper is currently the only model you offer. Do you have plans to roll out additional pens? Yes, we will have another product on the market in the fall of this coming year. It is very similar to The Dipper—it uses a lot of the same airflow technologies—but it will be a little sleeker and at a lower price point. 5% of sales from The Dipper in Ocean Blue will go to an ocean conservation charity. What was the impetus for this social responsibility initiative? How does philanthropy fit into your overarching brand ethos? For starters, I’m so happy that Quiddity judges brands from a social responsibility perspective. We do the same. Philanthropy and activism are huge passions at Green Lion. My business partner is on the board for the Marijuana Policy Project, and we’re active philanthropists with a lot of smaller nonprofits in the cannabis space. With Dipstick Vapes specifically, we do a discount code for the Students for Sensible Drug Policy where people get a discount off The Dipper and we donate that difference. I came up with the Ocean Blue release with a friend. We were just trying to come up with something exciting and interesting for a limited-run color. My personal passion outside of cannabis is environmental conservation, primarily marine conservation. I just spent a couple days at the beach and I’m one of those guys that’s picking up plastic while I’m walking. It’s a natural extension. The beauty of my business partner and the rest of the people that I work with is that we all follow the same socially conscious endeavours in entrepreneurship. As states across the nation adopt more lenient marijuana policies, what changes in the industry do you anticipate? How will Dipstick Vapes stay competitive as vaporizer brands proliferate? I think the biggest thing is education and access to cannabis in a regulated and controlled way. We try to market and educate to everyone as best we can. I don’t think we’ll change anything specifically. By virtue of not being a cannabis product—it’s just hardware—we’re already crossing state lines and we really just want to continue to support cannabis education, access, and ease of consumption. What are some of the largest misconceptions about vaping? How do you negotiate alarmist media coverage and public misinformation? With cannabis concentrates specifically, I think a lot of people are intimidated because it is 85-99% THC, where a flower certainly isn’t. The average dab is, well who knows—it’s just an amorphous glob of sticky material so people can’t regulate it nearly as well as flowers. We like that with The Dipper, you can take a light tap and have a small experience and better regulate how much you take. Concentrates can be for everyone, even if you have a low tolerance. It is an experience that people should be open to and have the opportunity to benefit from.